This is my first candle with digital stamp. The image is from Faery Ink and I have coloured it with my Copic markers. We were very lucky to have her as our sponsor this month at Copic Spain montly challenge . 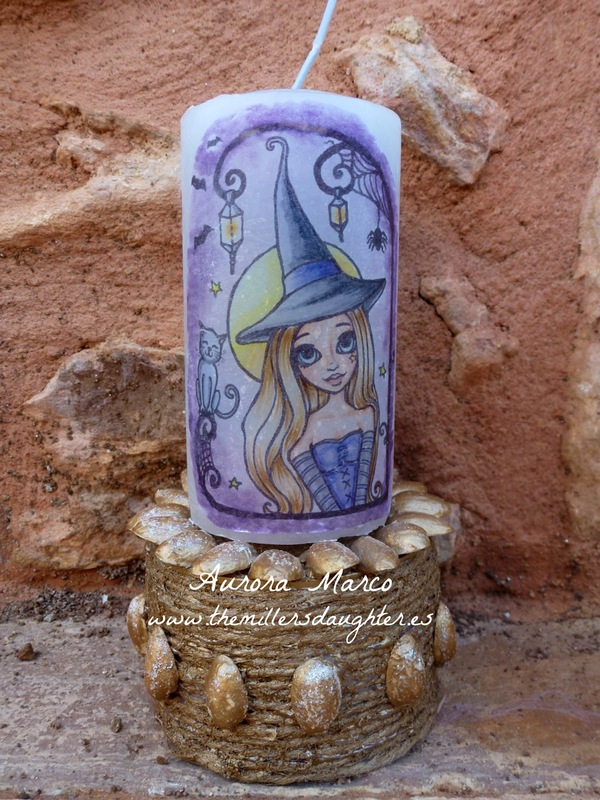 I love this Aurora - she is so pretty! And thank you so much for linking up to the Whimsie Doodles challenge!